I belong to an online community called American Grove. I guess you would call us tree enthusiasts. "Tree huggers" would be too narrow a term to describe all of the activities and interests there. "It’s a landmark to your community, has a compelling story, or makes a huge environmental contribution. It personifies perseverance or is a testament to history. It’s grand and noble or small and dignified." 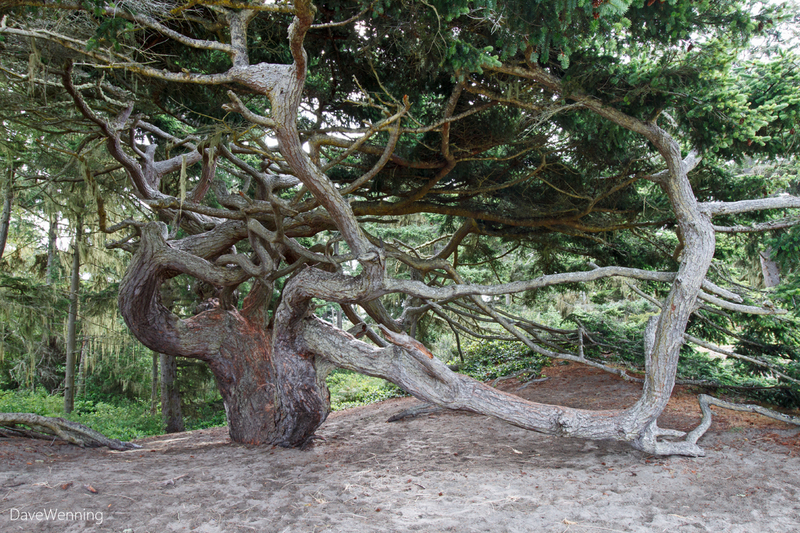 "For over 850 years this Douglas Fir has stood witness to the forming and changing of these dunes. Thick bark and strong wood have served well against storm, fire, drought and disease. Through all of this time it has offered generations of people its leaves for shelter, limbs for climbing and branches for sitting. Its bark is strong but thinning from so much climbing. Love it gently. Look on it with thoughts of the times it has seen. Find its stillness while you listen to the forest, dunes and sea. Wonder at what forces sculpted it so. Reflect on the ways its relatives touch your lives. Love it gently and it will live to shelter your children and theirs as well." The winners will be announced in September. Wish me luck. There are prizes, but I don't think this is the point. The recognition of special individual trees is the most important reason. I wanted this good, old Douglas Fir to be included. Sajib Pal, you comment was welcome until I got to the spam. Now it's gone. Knock it off. Oh sweet! What a lovely tribute to such an ancient tree. 850 years old? WOW! 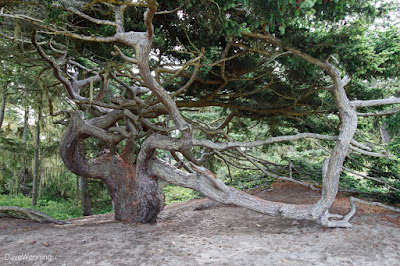 I would have nominated the old western red cedar that is still growing right outside my bedroom window at the house where I grew up east of Portland. It must be at least a couple hundred years old, and it's branches used to brush again my window when the East Wind blew, which was a lot. So that tree meant a lot to me but not a public tree. I recently reconnected with the place when the new owners reached out. When I went to visit for the first time in 30 years, I wanted to go hug that tree. Hope your tree is honored, it is certainly worthy.